Do you love to admire the changing colors of the leaves in the fall months? If so, then you will delight to see this artisan hair accessory! The Autumn Leaves Stick Barrette affixes to your hair easily with a slender hair stick. What flower better encapsulates the promise of spring better than the daffodil! 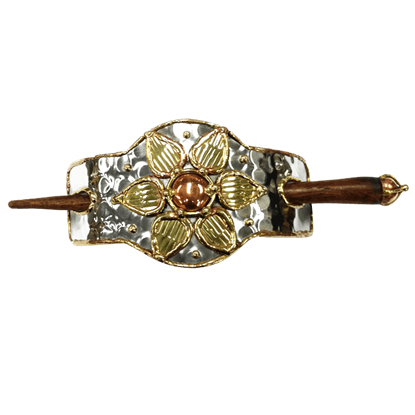 With a design inspired by this beautiful blossom, the Daffodil Stick Barrette affixes easily to your hair with a slender hair stick. The colors of the changing leaves during the autumn months serve as one of the loveliest sights of any season. 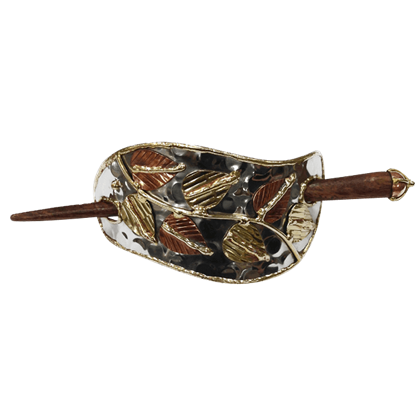 The Fall Leaves Stick Barrette captures just a hint of the seasonal glory with three large metal leaves on the band. Adorn yourself with a unique take on natural style. 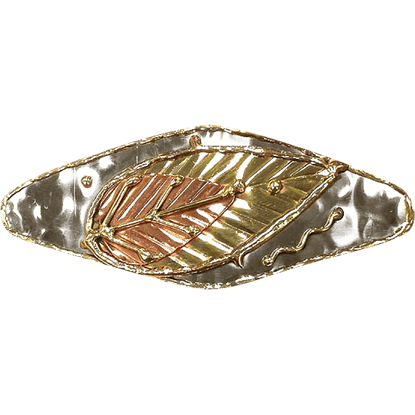 The Mixed Metal Leaf Barrette is a handcrafted artisan hair accessory featuring a whimsically detailed brass and copper leaf design decorating its silvery, stainless steel surface. 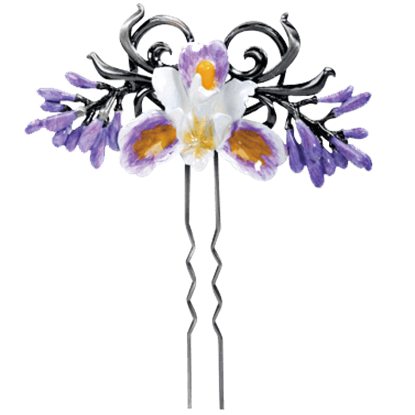 Add an element of flower garden charm to your hairstyles with the Purple Iris Hair Pin. 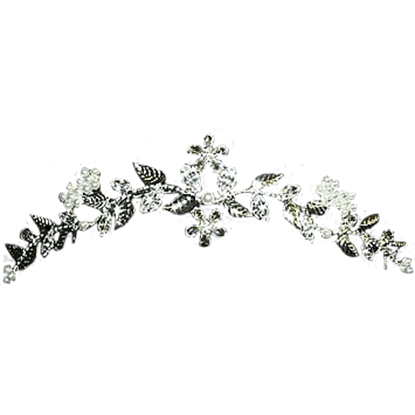 Made of lead free pewter, its darkened leaves and stems curl around purple blossoms, forming a unique hair piece fit for an ethereal flower queen. 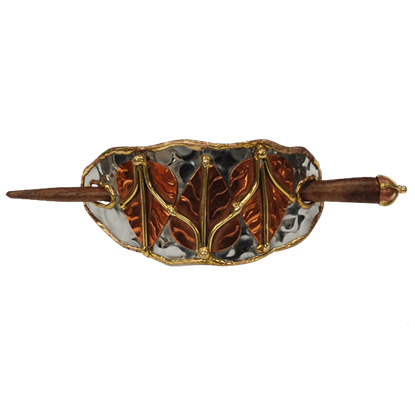 Greet the new day with the gleaming metal appearance of this artisan hair accessory. 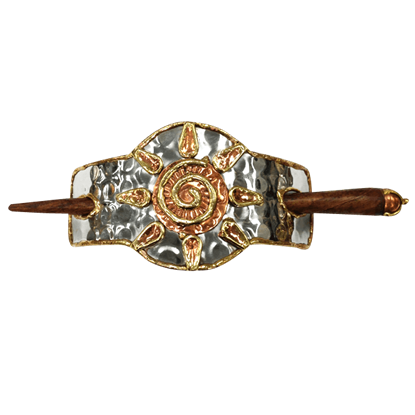 The Rising Sun Stick Barrette features a brilliant sun icon over the face, its slender stick allowing you to affix the piece to your hair. 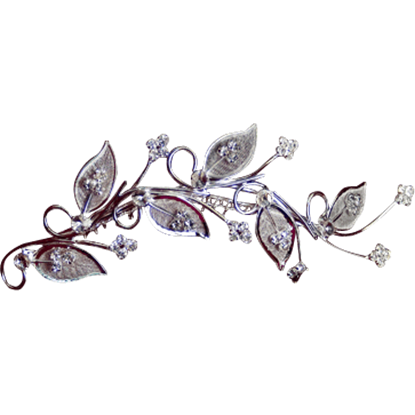 The Swirl Elven Headband is 0.75 inches wide and is made of metal plated in sterling silver. 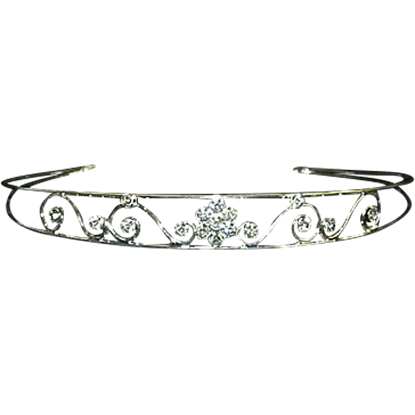 Let this whimsical headband take you away to a different time when elves and fairies populated the land.